Ever had a conversation where you talk to a person who hears you but doesn’t actually listen? Well that’s usually the case with a chatbot. Chatbots can bring efficiency to the business but at the end of the day, they are brainless tools. There isn’t as much AI or actual machine learning going on as people might think, chatbot knowledge effectively comes from the people programming them. But that’s not to say that chatbots are useless, the real issue is that they shouldn’t be used in isolation, they need to complement and assist rather than replace the agent. Chatbots alone usually fail at generating new customers, sales and leads, they need a human touch and that’s where giosg can help! Let’s make an important clarification: we are not chatbot providers, we provide a platform for chatbots to operate in. No chatbot can survive on its own as they need a platform to deploy. It’s like hiring a receptionist without a lobby. giosg offers customers the lobby so they only have to worry about hiring. After they pick a receptionist, we handle the rest - facilities, training, guidance, introductions, etc. In technical terms, we deliver user interfaces, so your full virtual assistance solution will include three parties: you, us and the third party that built your chatbot. Why do you need to have both? As mentioned, chatbots can’t generate sales, leads or onboard new customers on their own, these functionalities are only possible if the chatbot is given the tools and platform it needs. 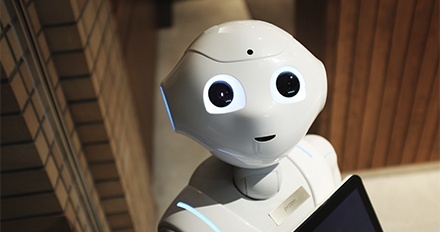 Chatbots are often just used as a tool to answer basic FAQ type of inquiries, and even then, they often struggle to come up with the right answers, leaving the customer confused or with a negative view of your customer service. By using giosg’s platform, you can easily add a human agent into the equation, but only when it’s needed and wanted. The efficient collaboration between the chatbot and your customer service agent is the key to success. When the customer service agent takes over the conversation, the chatbot goes quiet but remains present as an intelligent assistant, suggesting potential answers to help your agents respond faster. When an AI powered chatbot is functioning on giosg’s platform, the chatbot learns from all conversations escalated to customer service. giosg provides intelligent targeting to determine where and when the chatbot should be triggered. In some cases, it might be more beneficial to trigger a human operated chat or a call back form instead of a bot. giosg provides an easy-to-use interface to set this up. giosg provides real-time visitor analytics in the chat window (such as the pages the user has visited) and has a co-browse functionality which enables agents to see exactly what the user is seeing, enabling customer service agents to operate faster and more efficiently. giosg is not limited to bot integrations, the platform easily integrates with 3rd party systems such as CRMs, contact centre technologies and e-signing tools to name a few. There you have it, chatbots are becoming increasingly important in customer service and it is crucial to use them correctly if you do! Our totally unbiased opinion is that our platform is the way to go, and looking at our functionalities, don’t you agree? IF Insurance uses our platform with GetJenny chatbot named Emma. Read and see how they did it and succeeded! Unleash your customer support’s full potential here and schedule an intro to chatbots with us! What an earth is a chatbot? 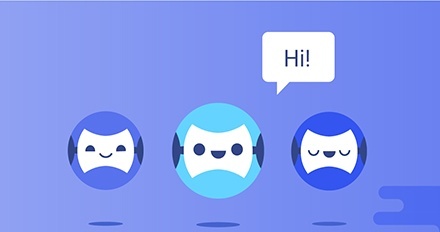 Check out our chatbot FAQ if you’re new to this chatbot thingy?